As with any goal, you should always look to reward yourself. Not only so you have something to work towards but also so you remember what you did to reach that goal. The end of a training cycle is not just reaching the finish line; but also the struggle and commitment it took to get to the finish line. Celebrate your daily/weekly devotion and effort. When I first started running, I would reward myself with an awesome dinner or some wine. Then I started running more often and longer and I was packing on the pounds. 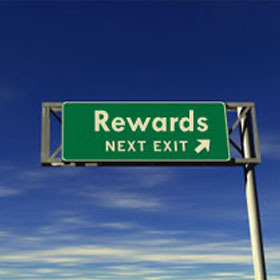 I realized my reward was counterproductive to my goals. I have since learned that I want to celebrate the journey and have a reminder of what I accomplished. My thought is that if you use the ones you have often enough; its time to shop for more. And who doesn’t get excited for that first workout in new clothes? One of my new favorite online running apparel stores is RunningSkirts.com. They keep me stylish while sweating it out! There’s nothing I look forward to then taking a nice mid day nap after my long runs. I let myself sleep as long as I want with a movie of my choice playing in the background. My muscles get to relax and my body can rest. When I ran my first marathon, I promised myself a 26.2 commemorative necklace to mark my triumph. And the day after the race, I placed my order. And now I wear it everyday to remember the journey that got me to the finish line. 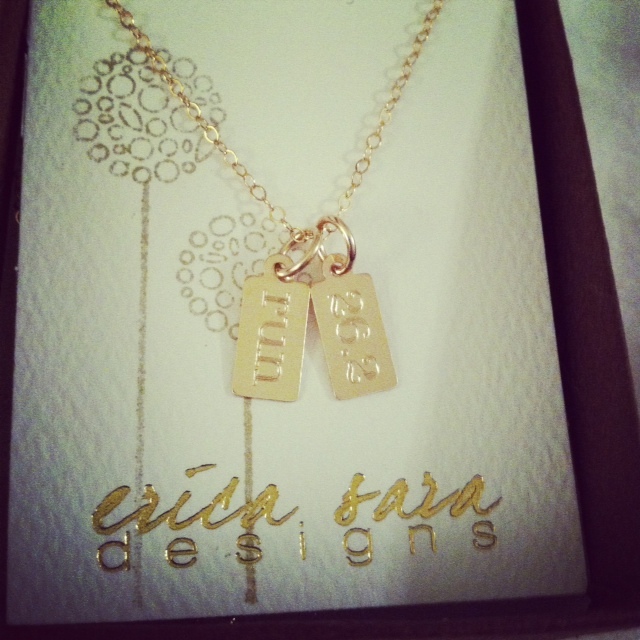 EricaSaraDesigns.com makes great jewelry to keep you motivated during training and to reward yourself! 4. Signing up for another race! When you accomplish one race, keep going and look towards the next with a different goal. Whether it be to run a longer distance, run faster, conquer a trail run or a hard course, or to just run for fun. *I was not paid by any retailers mentioned in this blog. And I realize I abused the use of exclamation points – sorry.